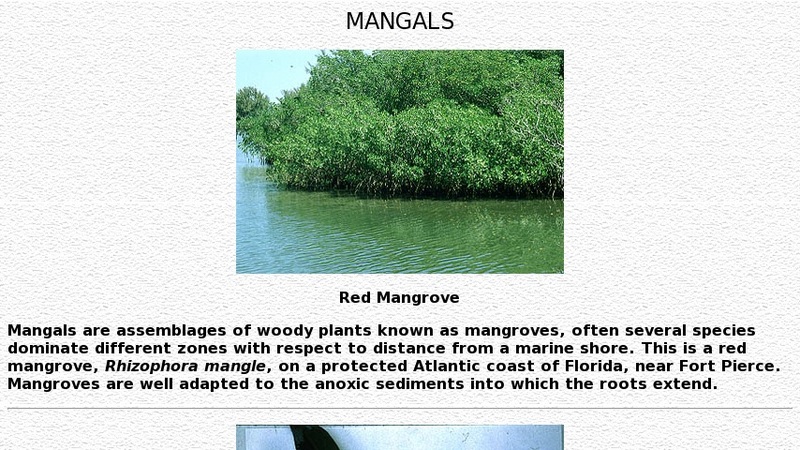 High school level and higher description of mangroves with pictures. Page is full of fantastic photographs most featuring a descriptive caption. Topics discussed include mangrove reproduction, salt-tolerance, dealing with anoxic water and sediment, and mangrove-associated fauna.